First Anniversary Party this Saturday May 7th! Our first anniversary was this past Saturday April 30th but we’re celebrating it NEXT SATURDAY MAY 7TH with a big all day party! Our first anniversary beer being released that day is LA CHINGADA CACA Maibock! Maibock is one of my favorite German lager styles and is aptly named as a hearty brew to welcome the lovely spring weather. Weighing in at 6.8% abv, the hallmark characteristic of La Chingada Caca is a fine balance of malt and hops. To me Maibock is like the ESB of German lagers, with a similar emphasis on a strong Munich malty character with an appropriate level of hop bitterness and flavor/aroma for fine balance. Curious about the name? Feel free to ask me in person this Saturday. 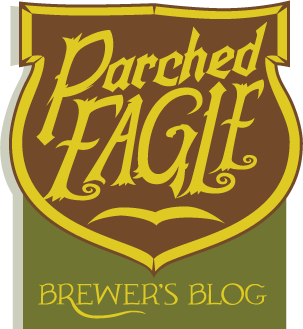 Also, the latest batch of our flagship HOP-BEARER IPA will be back on tap for the party. The party starts when we open at noon and both La Chingada Caca and Hop-Bearer will be on tap when we open along with other sumptuous selections representing a nice variety of styles. The exellent JON HOEL TRIO takes our stage at 7:30pm to kick the party up a notch. We’re looking forward to having them be the first jazz band to play in our cozy space. 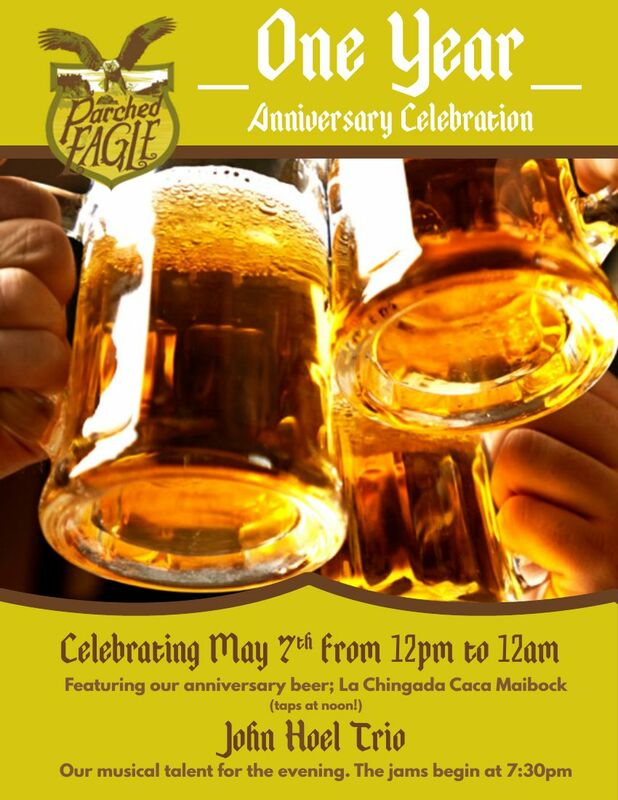 So, please join us this Saturday to celebrate our anniversary by hoisting a glass of La Chingada Caca! Foot Stomp’n Acoustic Bluegrass, Irish and Ole Time music group from Madison returns this Friday! We’re also releasing Maniac the Smaller Baltic Porter that day and will have March Madness on our big TV. Señor Smoke Scotch Ale Release Party w/MILKHOUSE RADIO! Señor Smoke Scotch Ale aka “Wee Heavy” style ale has a small bit of smoked malt added to the mash, like you’re (maybe) sitting around a peat fire. This caramel-malt wee heavy weighs in at 8.3% ABV and will help chase those late winter blues away. It will be on tap at 3PM when we open. At 8 pm , live music kicks the party up a notch! Local stalwarts Milkhouse Radio plays bluegrass numbers with vocals and without! Driveway Thriftdwellers Thursday Feb. 18th 7PM! We’re pleased to welcome Madison’s Driveway Thirftdwellers to the Parched Eagle tomorrow night for an early weeknight show from 7 to 9! “We play Roll music. That’s right. We have officially claimed the ripe, unused half of Rock and Roll. It’s like nothing you’ve never seen before: Guitars are played and sometimes some other instruments, this one guy plays pedal steel, a cactus plays an electric bass, maybe we’ll find someone to saw up some fiddle, and one of several people may be hitting some drums. That’s roll, folks.